Afghanistan has been a prime example of India’s aid and assistance programs. 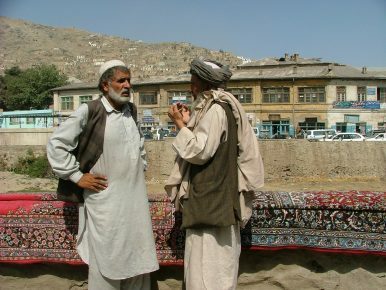 India’s contribution to Afghanistan’s civilian reconstruction efforts has been seen as one of the major factors leading to the famed goodwill for India among the Afghans. However, there has been a lack of critical and sober assessment of the tangible impact of Indian aid with respect to the priorities of security and development in Afghanistan. After more than 17 years of foreign security presence and multinational efforts to bring the war-torn country back to its feet and the evolving political space that requires talking to the Taliban while also fighting with them, Afghanistan is at crossroads. Amid such dynamic changes and continuities, the nature of India’s aid and assistance needs to undergo an assessment not only in terms of what India can offer but also in terms of what Afghanistan needs. Over the past week, India and Singapore have engaged in a series of defense-related interactions. While these are only a few of the interactions the sides currently have with each other, they have nonetheless spotlighted some of the ongoing activity in the security relationship amid wider regional and international developments in the wider Indo-Pacific region. India and Singapore already enjoy a close defense relationship. Apart from the bilateral significance of the relationship, which includes not just exchanges, visits, and exercises, but also opportunities for the Singapore military to train in India, India-Singapore security cooperation is also among the key relationships being watched as patterns of collaboration evolve in the wider Indo-Pacific as well. 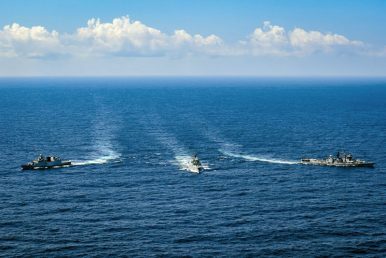 Last year, the holding of the defense minister’s dialogue between the two sides was closely watched for developments on these fronts, with both sides inking a new naval pact and the headlines focused on the Indian Navy’s access to Changi Naval base. Obama administration officials have been on the receiving end of much-deserved criticism for the decision to grant a one-time license to allow payment of taxpayers money to the Islamic Relief Agency (ISRA), a U.S. designated terror-financing charity in Sudan, once closely linked to Osama bin Laden. However, as a July 2018 investigation by the Middle East Forum uncovered, World Vision, a large but controversial international Christian aid charity, was the primary recipient of the United States Agency for International Development (USAID) grant that ultimately ended up funding ISRA. World Vision deserves much of the blame, but so far, its actions have escaped serious scrutiny. Newly available information strongly suggests that World Vision was waylaid by the Sudanese regime, one of only four U.S. designated state-sponsors of terrorism in the world, into doing its bidding. What's more, to protect itself from bad publicity, World Vision has gone to great lengths to deceive the public about its actions. In mid-November, Israel and Hamas fought a 24-hour conflict in which Hamas fired 460 rockets at Israel and the Israeli air forces responded with 160 air strikes. At the same time, the U.S.-led coalition and its Syrian Democratic Forces partners resumed the offensive against the Islamic State in Syria. The two operations, 500 miles from one another, appear distinct, but both are part of the new kind of conflict that is dominating this century. These are conflicts that tend to go through cycles, with no clear end in sight. From Ukraine to Yemen to Afghanistan to Somalia, such conflicts are paramount. At a briefing on Nov. 14, U.S. Special Representative for Syrian Engagement James Jeffrey suggested the United States would remain in eastern Syria until all “Iranian-commanded forces” had departed. This could mean another open-ended engagement much like that in Afghanistan. In this first episode of the new Brookings trade podcast Dollar & Sense, Senior Fellow David Dollar speaks with Senior Fellow Eswar Prasad, the Tolani Senior Professor of Trade Policy at Cornell University and a leading expert on the Chinese economy, about a range of issues in the U.S.-China relationship. 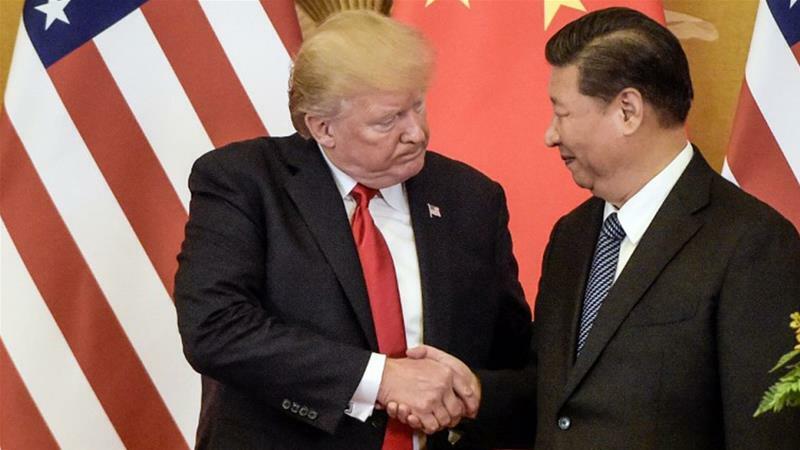 The conversation includes topics such as U.S. and Chinese trade practices, bilateral trade balances, China’s economy and currency, the U.S.-China trade war, and whether Presidents Trump and Xi can make a deal at their meeting during the G-20 summit in Buenos Aires. Over the years, China-Pakistan relations have evolved positively. The mainstream media of the two countries always features the mantra of friendship and brotherly ties. Despite that, however, from day one China has been concerned about one thing in Pakistan: security. Both religious extremists and Baloch separatists have reportedly killed Chinese citizens inside Pakistan in the past. 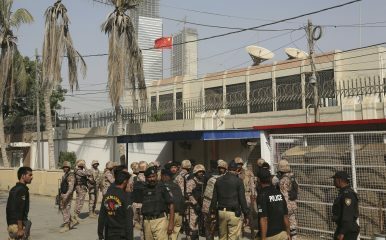 The most recent incident came on November 23, 2018, when three heavily armed militants from the Baloch Liberation Army (BLA) targeted the Chinese consulate in Karachi. Two police officers and two visa applicants were killed. The Chinese officials inside the consulate remained safe, and the Baloch militants were killed in retaliatory firing. European Union institutions agreed on Tuesday to terms of a planned mechanism to screen foreign direct investment within the bloc. The EU has said several times that the new framework is not aimed at countering China’s acquisition of high-tech European businesses, but its efforts actually seem to go in that direction. It remains to be seen if debt-ridden EU countries such as Italy, Greece or Portugal, which are all keen to attract Chinese investment to spur economic growth and balance their books, will support the proposed vetting system. Relevant legislation must be adopted by EU member states with a qualified majority and approved by the European Parliament before it can enter into force. Last month, I spent several days at the Forbidden City, the gargantuan palace in the middle of Beijing where China’s emperors ruled the land for nearly five hundred years. I was there to attend a conference on religion and power in imperial China, but my thoughts were drawn to more contemporary concerns: the plight of the Uighurs in China’s far western province of Xinjiang, including re-education camps aimed at breaking their faith in Islam. I was struck by parallels between contemporary and imperial religious policy at the end of the conference, when our hosts took us to parts of the complex that are off-limits to tourists, such as the Hall of Imperial Peace. This was a Daoist temple built in the early 1400s to honor the Perfected Warrior, zhenwu, whom the first emperor of the Ming dynasty credited with helping drive the Mongols out of China. When another nomadic people, the Manchus, defeated the Ming in 1644, they razed many Ming structures but kept the hall and even worshipped there every Lunar New Year’s. What better way to lessen Chinese displeasure at being ruled by foreigners than to worship at their shrines? by Richard D. Fisher Jr.
Albeit from the limited perspective of South Africa’s bi-annual Africa Aerospace and Defense (AAD) exhibition, from September 19–23, it is apparent that most African states are ready to enthusiastically support China’s ambitions for militarizing its growing influence on that continent, heralded by the first June 26 to July 11 China Africa Defense and Security Forum (CADSF). Meeting at the People’s Liberation Army National Defense University (PLANDU) in Beijing, this first forum meeting was attended by delegations from forty-nine African countries and the African Union. Though only speaking on background due to the sensitivity of China-related military issues, almost all at AAD queried about CADSF were unsure of the direction of this organization. However, none would discount the idea of the CADSF eventually becoming another China-centered proto-alliance like the well-established Shanghai Cooperation Organization (SCO). As it derives from China’s decades of economic and political influence building in Africa, China’s formation and development of the CADSF could presage similar Chinese ambitions for Latin America. Donald Trump's negotiating style – “shout loudly and carry a white flag” – may seem incoherent and dishonest, but it has been spectacularly successful for him. And he's about to use it again with China. 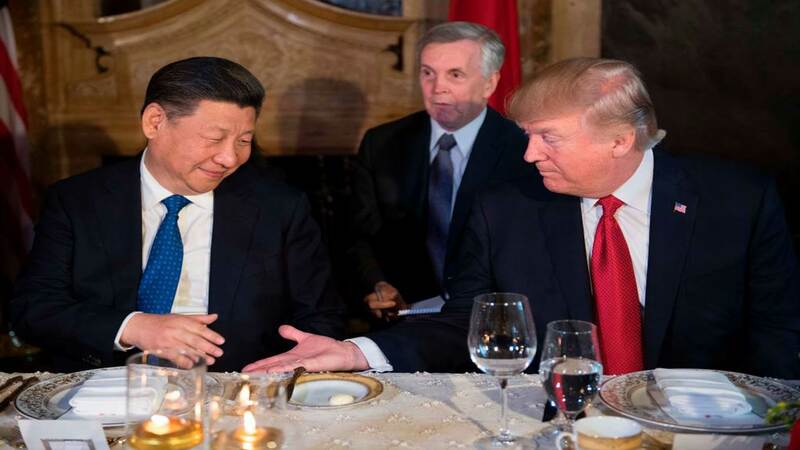 LONDON – The meeting between US President Donald Trump and China’s President Xi Jinping at the G20 summit in Buenos Aires this week is being viewed as a make-or-break moment for the world economy and financial markets. But even if no agreement is reached at the summit, there are at least four reasons to expect a de-escalation of the US-China tariff war. During its 40 years of reform, China has mastered learning by doing, engaged in bold policy experimentation, and become steadily more integrated into global economy. It will need to bring all of this experience to bear, as it attempts to avoid the pitfalls that could derail its effort to achieve high-income status. HONG KONG – On the 40th anniversary of the launch of China’s “reform and opening up,” the country is well on its way to recapturing its former status as the world’s largest economy, having made substantial progress toward modernizing its agricultural sector, industry, defense systems, and scientific capabilities. But four major traps lie ahead. The first is the middle-income trap. With a per capita annual income of around $9,000, China remains significantly below the threshold for high-income status, set at around $12,000-$13,000 by the World Bank. Only a few countries in history have managed this leap during the last half-century. The war in Yemen has been a disaster for U.S. interests, for Saudi interests, and above all for the Yemeni people. It has sparked the world’s largest humanitarian catastrophe: tens of thousands of civilians have been killed and 14 million people are at risk of starvation. It has been a strategic blunder as well, producing the exact results the Saudi-led military campaign was designed to prevent. The Houthis are more militarily sophisticated and better able to strike beyond Yemen’s borders than they were at the start of the war; Iranian influence has expanded; and the relationship between the Houthis and Lebanon’s Hezbollah has only deepened. Although the United Arab Emirates has waged an effective battle against al Qaeda in Yemen, terrorism remains a grave threat. 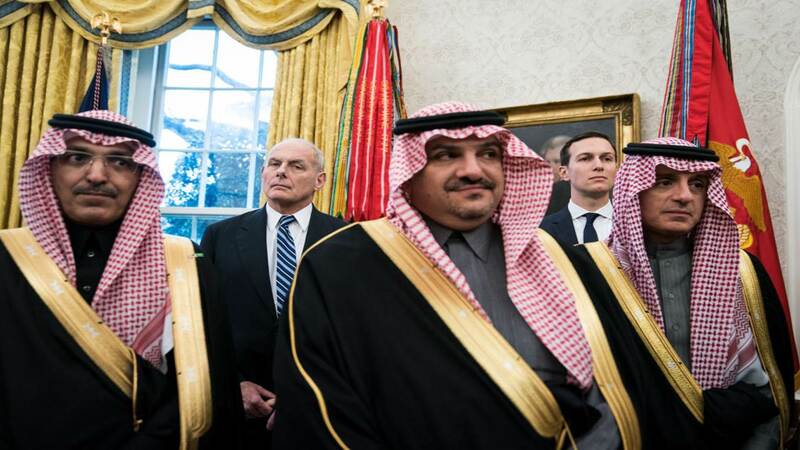 For three and a half years, Saudi Arabia has insisted, with diminishing credibility, that military victory was imminent; and for just as long, the United States and other powers have largely turned a blind eye to the intervention’s consequences. But the murder of the journalist Jamal Khashoggi at the Saudi consulate in Istanbul in October has focused the world’s attention on the kingdom’s reckless conduct—including its disastrous war in Yemen. Can Donald Trump Destroy The WTO? In the past two years, the Trump administration has started trade wars against China, its major trade partners, and security allies. In the absence of united opposition by advanced and emerging economies, the next target will be the World Trade Organization. As the White House began to escalate the U.S.-Sino trade war last April, President Trump’s trade adviser Peter Navarro was asked on CNN whether the United States is planning to leave the World Trade Organization (WTO). Is It Poor Journalism Or Actual Fake News? Sparked by reports uncovering the systematic spreading of false information on the internet to influence elections and fueled by U.S. president Trump's distrust and hatred of the media, the debate over "fake news" and misinformation has been one of the most important issues of the past year. According to the Reuters Institute Digital News Report 2018, 54 percent of global news consumers are very or extremely concerned about what is real and what is fake on the internet when it comes to news and only 44 percent of the more than 70,000 respondents think that most news is trustworthy. In the 1930s it contributed to the rise of fascism. Alarmingly, we are experimenting again with a monopolized economy. In the aftermath of the Second World War, an urgent question presented itself: How can we prevent the rise of fascism from happening again? If over the years that question became one of mostly historical interest, it has again become pressing, with the growing success of populist, nationalist and even neofascist movements all around the world. Common answers to the question stress the importance of a free press, the rule of law, stable government, robust civic institutions and common decency. But as undoubtedly important as these factors are, we too often overlook something else: the threat to democracy posed by monopoly and excessive corporate concentration — what the Supreme Court justice Louis Brandeis called the “curse of bigness.” We must not forget the economic origins of fascism, lest we risk repeating the most calamitous error of the 20th century. 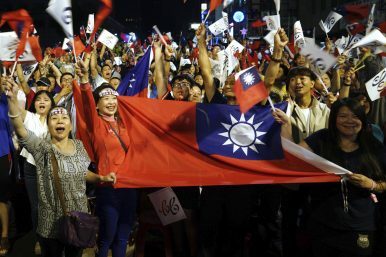 Taiwan’s ruling Democratic Progressive Party (DPP) was handed a rebuke in the island’s 2018 midterm elections on Saturday, with voters showing widespread dissatisfaction with the party’s handling of affairs over the past two years. The DPP, which had seen significant victories since Taiwan’s 2014 midterms, lost heavily on November 24, losing in seven of the 13 counties and cities up for grabs. Particularly devastating were the series of defeats suffered in the island’s south, the traditional stronghold of the DPP. President Tsai Ing-wen, who rode the 2016 wave into the island’s highest office, tendered her resignation as chairperson of the DPP in a hastily assembled press conference over the weekend (she will, however, remain as president). Her premier, William Lai, also offered his resignation but Tsai has asked for him to continue at his post. America’s decline relative to a rising China has sparked interest among academics about power shifts in the international order—whether they can happen peacefully and under what conditions; what precedents exist and what they tell us. Now comes an important book, Twilight of the Titans, by Joseph M. Parent and Paul K. McDonald, who use quantitative analysis of power transitions to analyze the problem. What they find provides a warning to a rising China, and a road map for a declining United States to regain its standing. The Harvard political scientist Graham Allison called the problem “the Thucydides Trap,” in which the country in relative decline so fears the rise of a challenger that it chooses to go to war to prevent it. And while Allison’s book Destined for War has its detractors, it served the worthwhile purpose of drawing us all back to Thucydides’s History of the Peloponnesian Wars and sounding the alarm that U.S. policies designed to confront China risked accelerating American decline. These Summary Findings represent a high-level synthesis of the material in the underlying report. The findings consolidate Key Messages and supporting evidence from 16 national-level topic chapters, 10 regional chapters, and 2 chapters that focus on societal response strategies (mitigation and adaptation). Unless otherwise noted, qualitative statements regarding future conditions in these Summary Findings are broadly applicable across the range of different levels of future climate change and associated impacts considered in this report. Today’s United States Army operates in a networked asymmetric world undreamed of in the early years of combating insurgency groups. According to Twitter, 500 million tweets are posted each day. YouTube reports that over one billion hours of videos are watched daily. In this rapidly evolving, saturated social media environment, a revolutionary with little more than an easily available internet connection can tap communications intertwined with billions of people and cause cultural upheaval and change centuries-old dogma. Through extensive social media use, groups revolt, leadership falls, and countries change. Civil Affairs as a branch needs to continue to evolve within the civil environment by formally adding a social media analysis function to its extensive repertoire, critical to maintaining a more complete understanding of current culture. This can be accomplished by examining historical examples of social media influence, exploring CIM expansion within future civil environments, and making updates and changes to Civil Affairs doctrine utilizing a DOTMLPF-P review. Homeland Security Secretary Kirstjen Nielsen and Defense Secretary Jim Mattis spearheaded an agreement signed last week about how their agencies will work together on future cybersecurity challenges, Homeland Security Undersecretary Chris Krebs said last week. The pair is also urging more cyber cooperation between military and civilian government, Krebs said. Can automation alleviate the weight of war? 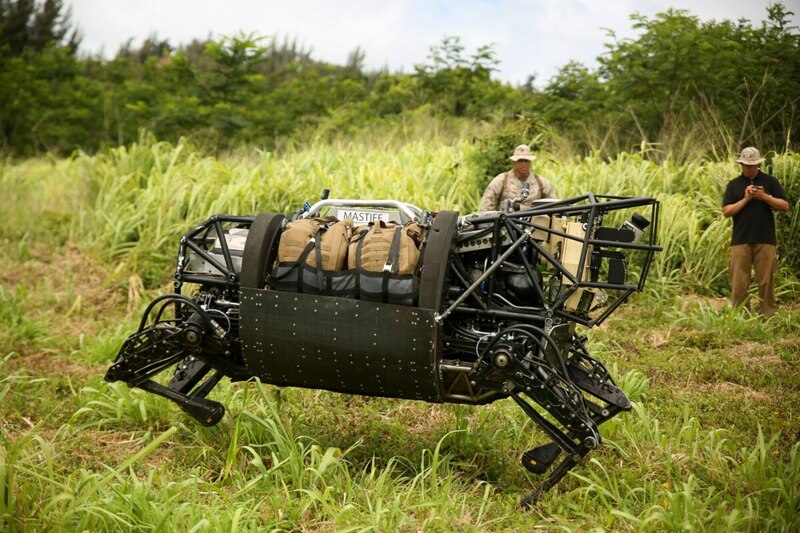 The United States Marine Corps is considering using remotely piloted and autonomous vehicles as a solution for a classic warfare dilemma. Troops routinely carry massive amounts of weight to and from the battlefield. One studyfound that a typical infantry assault load, which can include kettlebell-sized batteries to bulky body armor, varies anywhere from 97 to 135 pounds. These overbearing loads can lead to injuries, logistical constraints and lapses in combat effectiveness. Today, the amount of weight troops are asked to carry continues to grow, while their ability to carry that load does not. 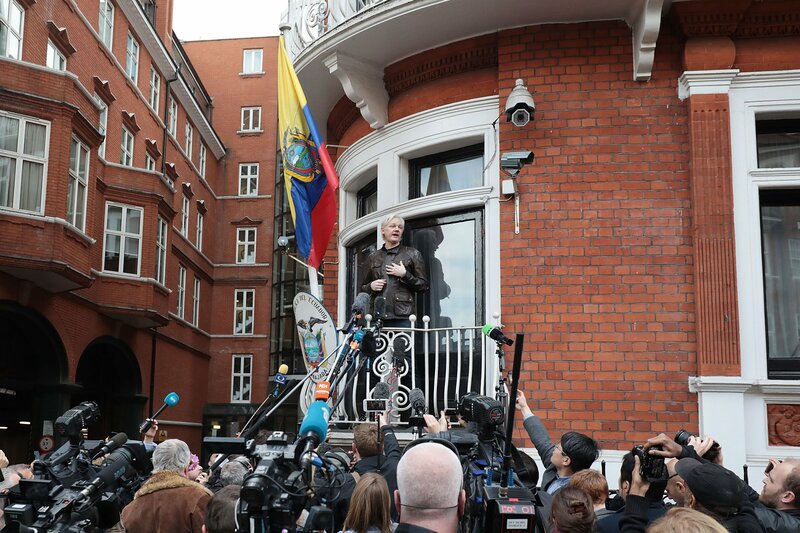 Full disclosure: I am not a fan of Julian Assange or Wikileaks. My disdain for started long before both apparently acted as digital mouthpiece for Russian intelligence by releasing hacked emails. It began with the actions of Chelsea Manning, and hit a crescendo with Edward Snowden. Assange and Wikileaks are responsible for creating a class of leakers motivated by ego, who justify their betrayal of our national security by claiming that their moral code trumps the actual code governing the release of classified information. Like many current and former members of the intelligence community, I’ve been frustrated by the unwillingness of our government to act against Assange and Wikileaks. Up to now, they have been allowed to occupy a grey area that affords them some pseudo status as journalist and news outlet, stymieing any interest in holding them to account. But with the news that the Department of Justice has apparently filed criminal charges against Julian Assange, I am hopeful that perhaps we may be turning the page on this story, and once again defending our national security. Special Report: Is the US Ready to Escalate in Cyberspace? A barrage of cyber attacks have hit U.S. companies and institutions over the past decade. At long last, the United States says it’s ready to strike back. China has sought to turn the tables after widespread claims it has been hacking US firms by claiming it has suffered from an increasing number of cyberattacks from abroad. A prime-time programme by the state broadcaster China Central Television on Thursday said foreign hackers had attacked Chinese government agencies as well as scientific research and military institutions multiple times since the start of the year, causing the leak of hundreds of thousands of documents. The programme covering the country’s latest anti-espionage legislation did not name specific countries, but came just a few days after the US government released a report claiming that Chinese hacking efforts to steal American technology and trade secrets have “increased in frequency and sophistication” this year. Jihadists and right-wing extremists use remarkably similar social media strategies. Social media has played a key role in the recent rise of violent right-wing extremism in the United States, including three recent incidents — one in which a man was accused of sending mail bombs to critics of the president, another in which a man shot dead two African-Americans in a Kroger’s grocery store in Kentucky, and a third in which a man is accused of conducting a murderous rampage at a synagogue in Pittsburgh. Each of these attacks falls under the definition of right-wing extremism by the Global Terrorism Database at the University of Maryland: “violence in support of the belief that personal and/or national way of life is under attack and is either already lost or that the threat is imminent.” Antiglobalism, racial or ethnic supremacy, nationalism, suspicion of the federal government, obsessions over individual liberty — these are all hallmarks of this network of ideologies, which is, of course, shot through with conspiracy theories. What’s Next for Vietnam-Thailand Defense Cooperation? This week, Vietnam’s deputy defense minister paid a visit to Thailand in yet another official exchange between the two Southeast Asian states. The interaction highlighted the ongoing activity on the defense side of the strategic partnership that both sides have forged over the years. 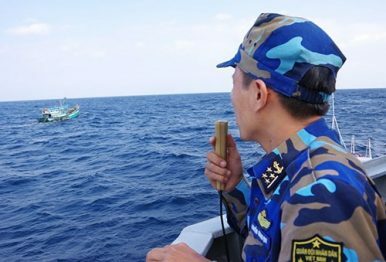 As I have noted before in these pages, the security realm has long factored into wider cooperation between Vietnam and Thailand. Though their relationship had been characterized by animosity for much of the Cold War, it has gradually warmed since, including in the defense domain. DARPA-funded drones worked together despite heavy electronic-warfare defenses. The U.S. military’s strategy for winning the next major war is to throw a bunch of highly autonomous, deeply interconnected drones, jets, ships, and other things at the enemy. But this massive, coordinated strike across air, land, sea and cyberspace is sure to run headfirst into electronic warfare defenses designed to disrupt the networks that make it possible.. This week, officials with Defense Advanced Research Projects Agency announced that a series of tests at Arizona’s Yuma Proving Ground had shown that live and virtual drones could work together, with high degrees of autonomy, to complete missions even when their communications and GPS were under heavy electronic attack. Eight months ago, Defense Secretary Jim Mattis created the Close Combat Lethality Task Force to right a generational wrong. A retired Marine Corps infantryman himself, Mattis understood that America’s close combat forces, consisting of less than four percent of those in uniform, had suffered more than ninety percent of American combat deaths since the end of World War II. His intent: to make our infantry formations dominant on tomorrow’s battlefields.